Carnegie Mellon University has changed the name of its Statistics Department to the Department of Statistics & Data Science. The new name reflects the broad reach of statistics at Carnegie Mellon, which encompasses the many facets of modern data science. The department has a 50-year history of making a tremendous impact advancing the frontiers of statistical theory and methodology and applying statistics to help solve meaningful, complex problems across science, technology, policy and education. The recent explosion of big data has created new opportunities, and the department’s students and faculty are leading in the development of new ideas, including in the emerging area of data science. 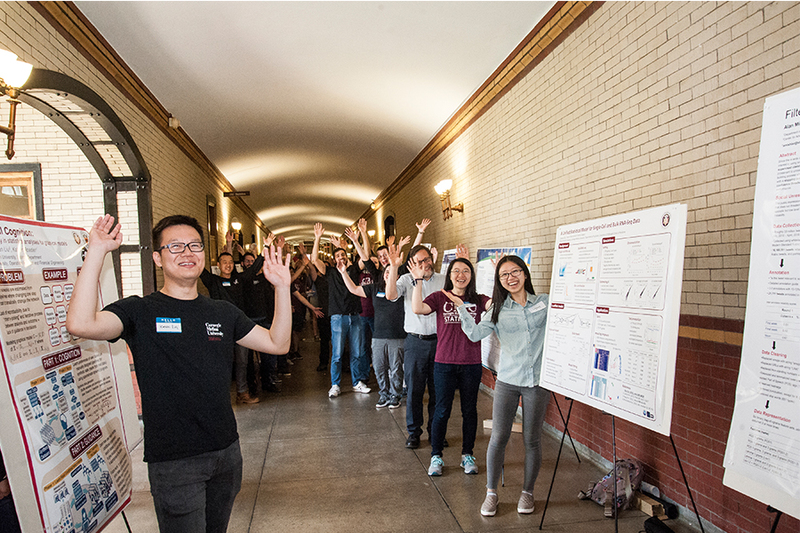 The Statistics & Data Science Department, which is part of CMU’s Dietrich College of Humanities and Social Sciences, is among the fastest growing programs in the nation. The number of undergraduate statistics majors has nearly quadrupled since 2010 and has grown more than twenty-fold since 2005. 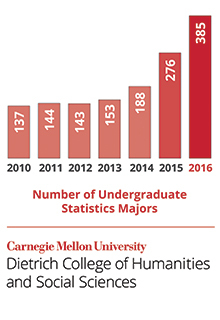 And since 2013, the Dietrich College applicants who indicated interest in studying statistics have more than doubled. “Our statisticians and data scientists exemplify the Carnegie Mellon approach to the humanities and social sciences, which infuses foundational and deep research across disciplines to take on and offer solutions for issues that are important to the world today,” said Richard Scheines, dean of the Dietrich College. Students at every level in the Department of Statistics and Data Science engage with interdisciplinary, real-world problems and gain extensive experience working with actual data. Recent projects have analyzed domestic violence incidents and county response services, predicted yearly revenue streams for companies, visualized city crime reports, investigated if communal coping affects diabetes treatment and determined the impact of filtering tweets for social unrest. The department will celebrate its new name with food trucks, games and giveaways on Wednesday, Oct. 18 from noon – 1:30 p.m. on CMU’s CFA Lawn. The entire campus community is invited.